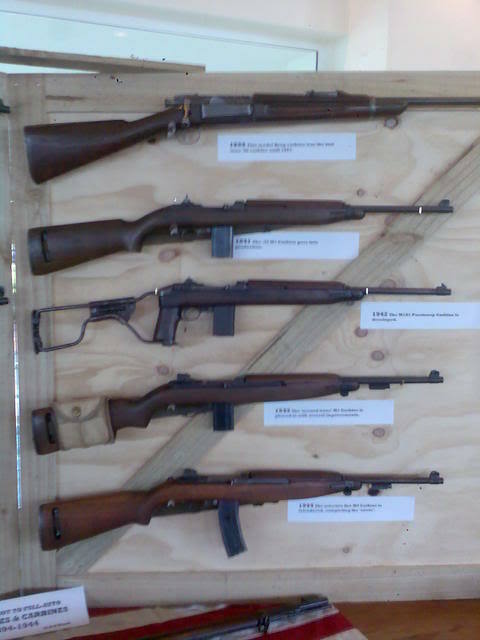 I was at an auction here in CHCH today, and saw a nicely displayed set of M1 Carbines. 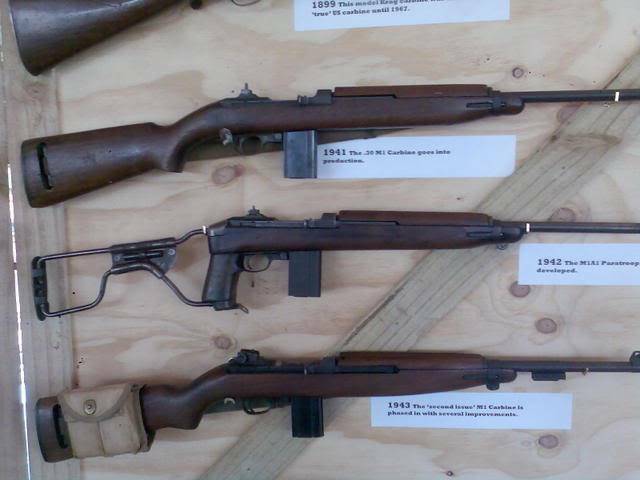 They were included in a display of American Service rifles, and it was well set out. I have some pictures but they were taken with my cell, so I need to use my cable from work to get them off in a displayable size. The pictures will be added on Monday at the latest. 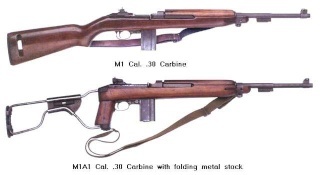 The owner of these carbines has been sent a link to the forum, so hopefully he may share some of his knowledge on them in the future. Here are a couple of the pics I took, excuse the quality, they were taken on my phone. The owner of this collection has just joined up as woodsy, so hopefully he will be keen to share the history of these, and any others he has.